Sometimes we get asked to change a spark plug! 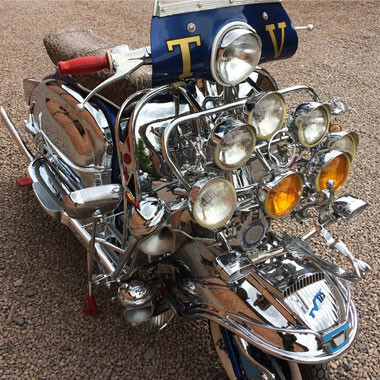 Then again sometimes we get asked to build a chrome plated "jewel" of a scooter adorned with accessories and one off features! 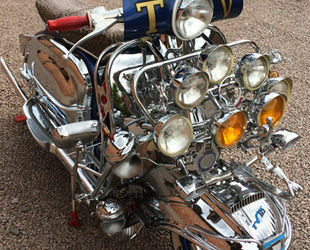 This is Joe's TV175 and is one of our latest projects, Joe wanted a top "mod" scooter capturing the essence of the early 1963 London mod scene scooters! So whether it's a spark plug or a lifetime's dream feel free to contact us today.